Throughout the events of COP22 which commenced Monday in Marrakech, I'll be sharing the work of my fellow writers, following my piece for the coalitions collection which was posted on Sunday on COP 21 (HERE). The words below are by Elizabeth Stilwell, one of the founders of the Ethical Writers Coalition and a talented writer and illustrator who has the blog, The Notepasser. You can follow the spectacular work on ethical and sustainable issues HERE. 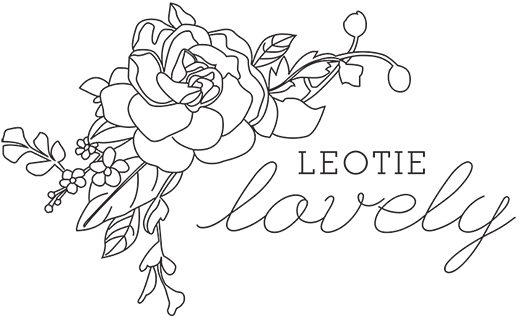 Below is her piece as part of the collaboration, originally posted on her blog which she kindly allowed me to repost here. The issue of climate change is overwhelming. Humans don’t like feeling overwhelmed, so it is natural to shut down on the topic, to think that it is too late, or that you can’t make a difference. I often feel that way myself, but then I remember all the changes that began with a small act, supported by other small acts that led to a movement. WITHOUT ACTION, THE WORLD’S AVERAGE SURFACE TEMPERATURE IS PROJECTED TO RISE AND SURPASS 3°C (AND MORE IN SOME AREAS OF THE WORLD) IN THE 21ST CENTURY. In fact, it was our aggregate actions over time that created the greenhouse gases (called anthropogenic) that led to the climate change we face today. Industrialization, pollution, deforestation, and consumption — all human actions — have had dramatic impacts on the environment. From 1880-2012, the concentration of greenhouse gases in the atmosphere caused the planet's surface temperature to increase an average of 0.85 °C. July 2016 was the hottest month on record — ever. Without action, the world’s average surface temperature is projected to rise and surpass 3°C (and more in some areas of the world) in the 21st century. Climate change affects every country on every continent and can can already be felt around the world. We are ready for a climate change movement. All over the globe, people are pushing for change in policy, in industry, and in technology. The 21st Session of the Conference of Parties to the United Nations Framework Convention on Climate Change (COP21) resulted in The Paris Agreement, which was adopted by 195 countries on December 12, 2015. This agreement wants to limit global warming to less than 2 °C and aims for a reduction of 1.5 °C by reducing CO2 emissions by 50% by 2050 and 100% by 2100. COP22 takes place in Marrakech on November 7 to 18, 2016 and will focus on action items meant to achieve the priorities of The Paris Agreement. Because of the COP22, countries will now be accountable for implementing their climate action plans. It will help to transform economies and help to invest in green energy, resilient infrastructure and agriculture, and to push for the protection of forests and landscapes. It’s crucial to have global and national support and policies that will mitigate climate change in the coming decades, but bureaucracy moves slowly. Governments often wait for a critical mass of citizens who care about and act on an issue, who vote for what they believe in and make their demands known. Eventually, each of us will be guided by our country’s climate action plans, but why not start making those small changes that lead to movements today? Keep reading for 40 different ways to fight climate change in your daily life. Fossil fuels (oil, coal, and gas) that power our cars, heating/air conditioning, cooking, and electricity are the main cause for greenhouse gas emissions. Each day we spew 110 million tons of greenhouse gases into the atmosphere. To make real strides against climate change, we’ve got to keep fossil fuels in the ground. 1. Use energy-efficient devices to reduce your overall energy consumption. 2. 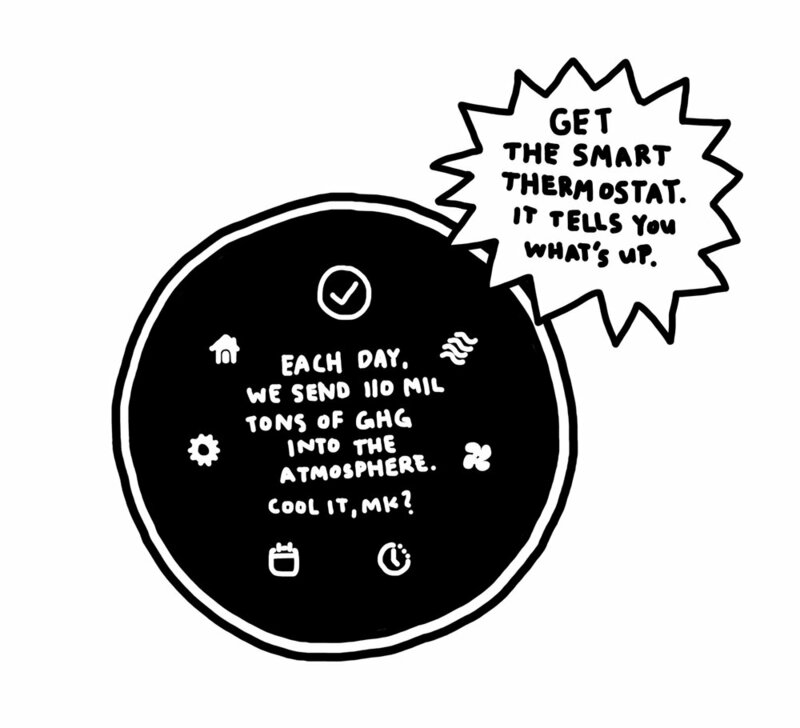 Install a “smart” thermostat in your home. 3. Bike, walk, or take public transport as much as possible. 4. Eat more locally grown foods (and reduce those that came over long distances or require a lot of water, like avocados). If everyone in the world lived like an American or an Australian, we would need at least 5 planets worth of resources. Five! Since 1990, global emissions of carbon dioxide (CO2) have increased by almost 50%. Those who are the most vulnerable to climate change will need our help, and I think it is the responsibility of the countries emitting the most carbon to do so. For every $1 we spend on preparing people for disasters, it saves $7 in recovery costs. And by purchasing carbon credits to offset emissions, individuals and businesses can help finance renewable energy, forest protection, and reforestation projects around the world. 5. Install solar panels on your home, or switch your energy provider to one that uses wind or solar. If one is not available, lobby your state for access to renewable energies. 6. Donate to disaster preparation at Digital Good, which supports the work of the United Nations Development Programme. 7. Calculate your carbon footprint compared to the average citizen in your country and buy carbon offsets on Terrapass. If current water consumption patterns continue, 2/3 of the world’s population could be living in water-stressed countries (where demand for water exceeds supply) by 2025. Instead of just taking shorter showers, really evaluate your total water use and cut back where you can. According to a lifecycle assessment conducted by Levi’s in 2013, wearing your jeans 10 times before you wash them (rather than the average American's 2.3 times), can reduce water usage by 77% over the life of your jeans. Extrapolate this to all of your laundry, and that’s a lot of water waiting to be saved. 8. Wait until you have a full load to wash laundry or dishes. 9. Wash your clothes less often. 10. Incorporate indigenous and drought-resistant plants into landscaping to reduce the need for water. 11. Install a rain barrel to collect water for non-potable uses (NYC has a rain barrel giveaway program). 12. Use greywater from washing dishes in your garden. Forty percent of the world’s oceans are considered heavily affected by human activities. Pollution, micro beads, polyester fibers, phosphate detergents, and agricultural run-off are just some of the ways we abuse our oceans. In addition, of the 300 million metric tons per year of global plastics production, an estimated 10 to 20 million metric tons is entering the oceans and damaging species and ecosystems. All of these foreign substances wreak havoc on marine life, the water, and our beautiful beaches. 13. Reduce your plastic use with reusable containers and minimally packaged goods. 14. 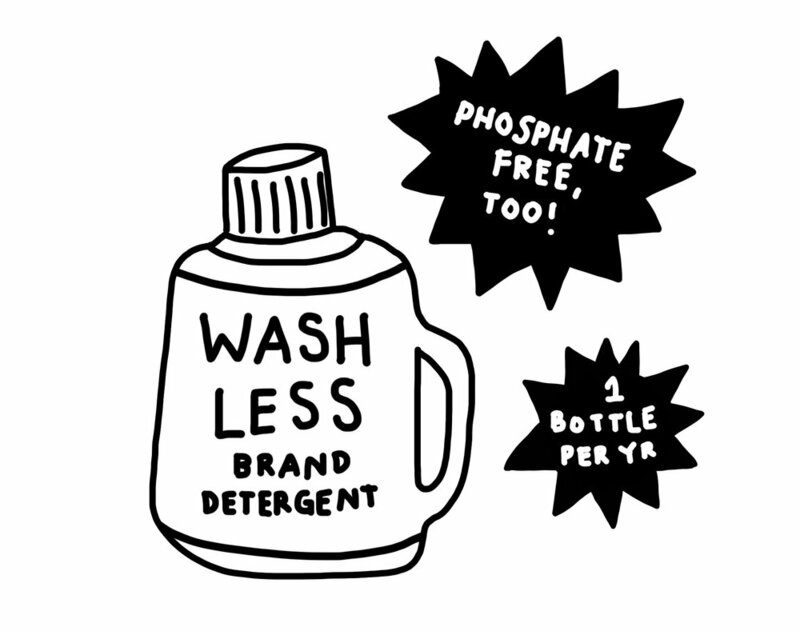 Switch to a phosphate-free detergent. 15. Never buy products with micro beads. 16. Participate in lake, river, and beach clean ups. 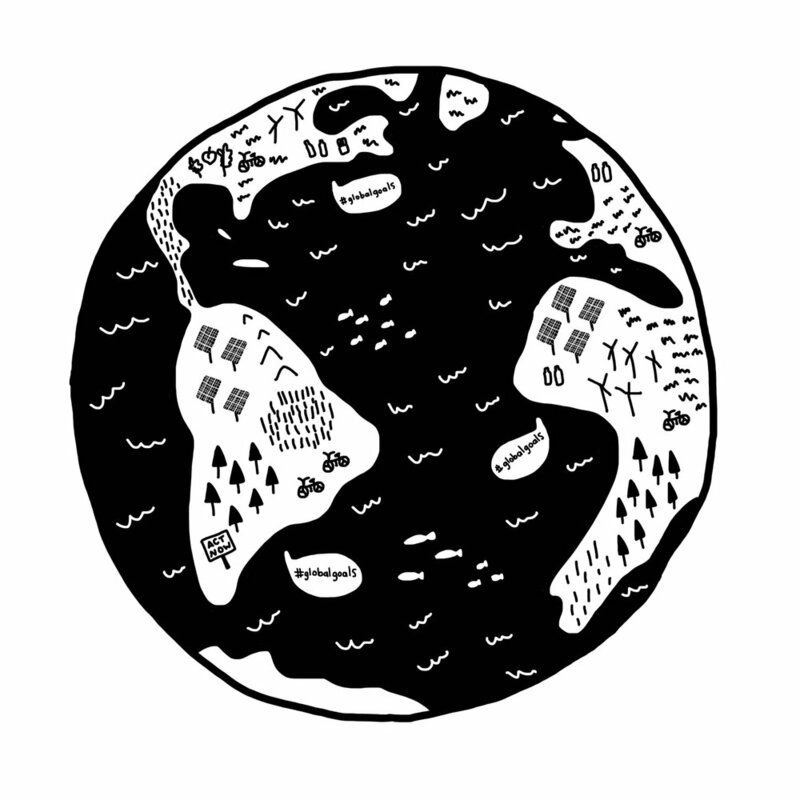 Forests cover 31% of global land area and are the largest storehouses of carbon after oceans. In addition, they provide livelihoods, medicine, fuel, and food for 1.6 billion people (2k in indigenous cultures). But every year, humans chop down 13 million hectares — or 48 football fields — of forest for farming, livestock, logging, paper, and mining. One of the biggest drivers of deforestation is the production of palm-oil, which is in roughly half of the products you buy in stores. Its ubiquity causes demand which leads to forests being cleared and farmed for its production. Technology allows us to significantly cut back on the amount of paper we use. Utilize digital bills, notes, and publications, and fight junk mail with technology. If you do buy paper products, make sure they are made of unbleached, post-consumer recycled paper. Plants also need to take back the spotlight on our plates. Since plants are grown in order to feed livestock, a greater amount of resources like water and energy are used to produce meat than are used to produce plants. In addition, the livestock industry creates 7.1 Gigatonnes of Co2-equivalent per year, representing 14.5 % of all human-created greenhouse gas emissions. Cattle, specifically, are responsible for the most emissions (about 65%) within of the livestock sector. Eating a diet that is heavily (or only) plant-based is one of the best ways to reduce your carbon footprint. 17. Avoid products containing palm-oil. 18. Reduce your consumption of beef. 19. Reduce your paper use at home and in the office with technology (e-bills, digital notes). 20. Cut up old t-shirts to use instead of paper towels. Then, see #8. 21. 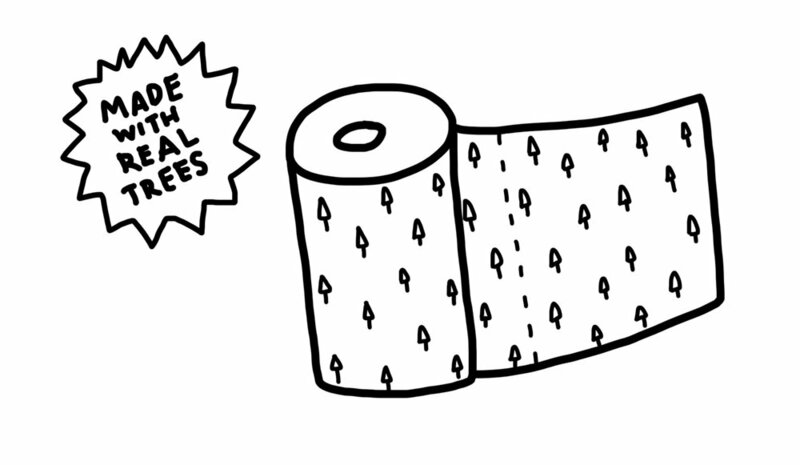 Buy only unbleached, post-consumer recycled paper products. 22. Stop junk mail with Catalog Choice. 23. 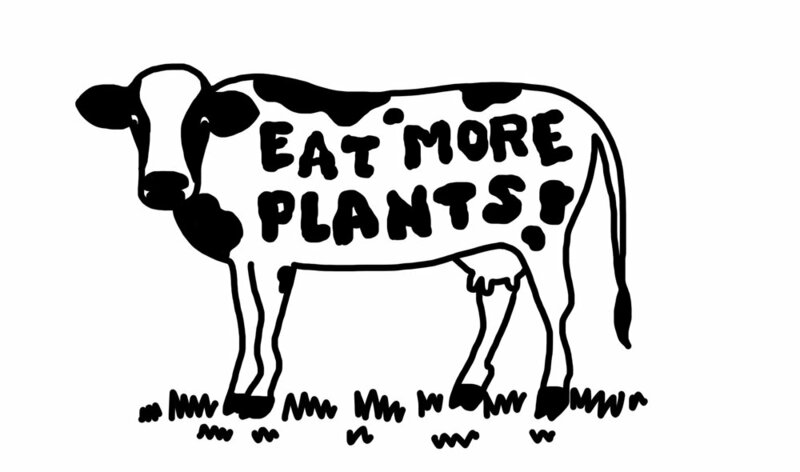 Eat less meat and dairy. 24. Support organic agriculture, which is generally better for the environment. The production of food requires a huge amount of resources, including pesticides, fertilizer, and water. But sadly, 1/3 of our overall food (1.2 billion tons) is wasted throughout the supply chain. We cannot afford this kind of waste: for each 1°C of rising temperature, grain yields decline about 5% — maize, wheat, and major crops have already experienced major yield restrictions due to climate change. Have you ever tried not creating physical waste as you go about your day? From food to fashion to travel, our activities leave a ton of trash in our wakes. With a little research and energy, you can make small changes to your habits that will reduce the amount of waste you send to the landfill. 25. Buy from bulk bins and seek out minimally packaged goods. 26. Use a refillable water bottle and coffee cup. 27. Bring your own bag when you shop. 28. Compost your organic waste. 30. Properly recycle e-waste and textiles (look for takeback programs in your area). 31. Join a zero waste challenge with friends. In the US, our insatiable consumerism wastes energy and resources that are often non-renewable. Businesses with unsustainable practices contribute to pollution, fossil fuel use, labor abuses, and other issues that come with deregulation. You can shop smarter by being informed about brands and buying secondhand when you can. But know that there are times (especially with appliances) that new is actually the more efficient choice. On the other hand, we replace our technological devices so often that you can often get a refurbished product that is almost new. Shopping is fraught with issues, so advocate for your ethics and ask questions before you buy. 32. Replace old appliances and light bulbs with energy efficient models. 33. Buy refurbished technology, instead of new. 34. Shop secondhand first (especially for clothes, shoes, furniture, etc). 35. When buying new, choose quality goods that won’t need to be replaced quickly, or maybe ever. 36. Ask questions and seek out businesses with sustainable practices, like B Corps. If we want change, we have to ask for it. Ask for local and national policies that prioritize people and the planet. Voice your support for The Paris Agreement and ask your country to ratify it or sign it, if it hasn’t yet. Champion long-term, weighty goals like New York City’s Zero Waste 2030. Be informed about local and national policies regarding climate change and vote accordingly. Campaign for and elect leaders that understand the terrible gravity of the situation and take climate change seriously. Climate change disrupts economies, lives, and costs people, communities, and countries every day, so speak up and take action now. 37. Lobby your government for action on climate change. 38. Vote for and support candidates that do not take money from industries that undermine climate action. 39. Start initiatives in your community that are good for the environment (composting, gardens, tree planting, beach clean ups). 40. 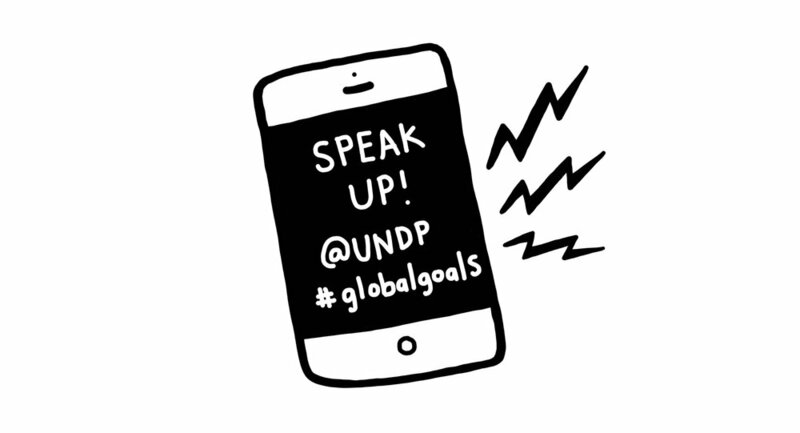 Share your actions to achieve climate action with the United Nations Development Programme (UNDP) by using the hashtag #globalgoals on social networks. It’s undeniable that big, global changes are needed to mitigate climate change. In order to understand the issues and stakes, citizens need to be informed. I trust that information will lead to action, and action will lead to movements. I challenge you to start making changes in your life today.